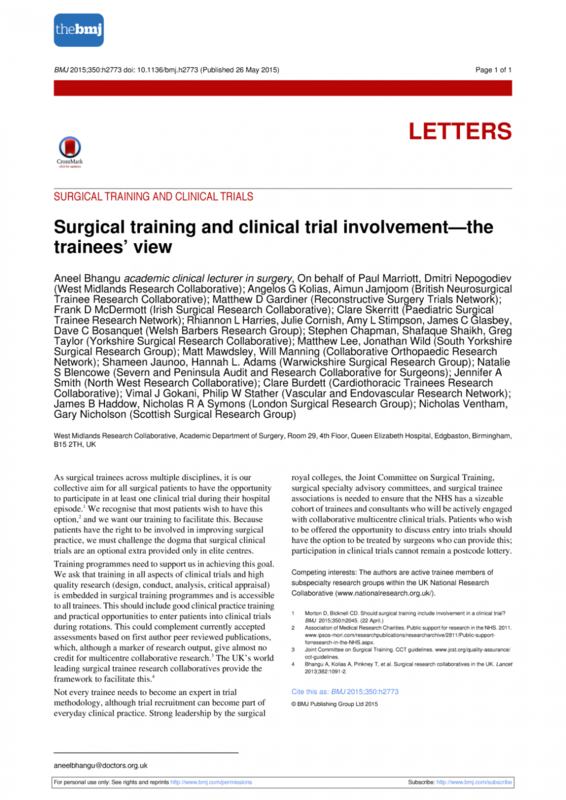 Surgical training and clinical trial involvement-the trainees’ view. BMJ. 2015 May 26;350:h2773. Home » Portfolio » Surgical training and clinical trial involvement-the trainees’ view. BMJ. 2015 May 26;350:h2773.